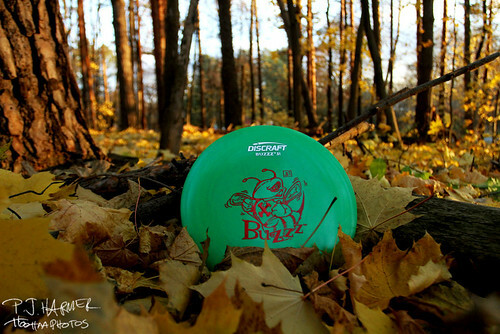 The fall can be a great time to get some cool disc golf images. When I’m out disc golfing, I’m usually looking beyond the throws and scores. Often, my camera will be with me as it’s normally just a casual round. The fall with all its colors makes for some good disc golf photos. While I realize it’s possible that it’s harder to find certain discs, it’s also a cool time to use nature for photos. The above photo was pure luck. I through an errant shot and it ended up, like normal, among some trees. It bounced off at least one and then landed. We had no idea where. We looked for a bit before I finally spotted it. This is exactly how the disc landed. Could it have landed any more perfect for a photo? Of course I had to snap away before pulling the disc up for the next shot. One of the most important things I’ve learned about photography and disc golf is you should always be ready to take photos of the different things as you never know when something will make itself available, much like my Buzzz did. Do you ever get that feeling where it’s like you are throwing a disc for the first time? Though I get a small part of that feeling on almost every outing, I really was overwhelmed with it a couple of weekends ago. It was like I was pulling out plastic for the first time. It had been more than three months since I had last played the game, so I was excited to meet with two others and play a round. 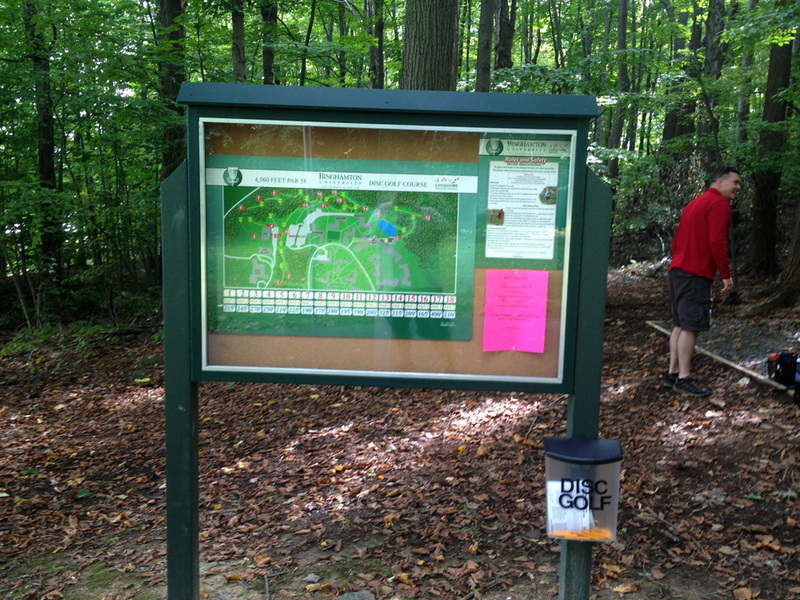 We met at Binghamton University in upstate New York for a round on a new course. This course, which had been open for less than a month, was designed by Dan Doyle, who also worked on the design of the famed Warwick course. And, I’m sure, many of you may have seen the interview where Ken Climo put Warwick up there as his favorite course in the United States. So forgive me if I was a little giddy when told by a friend than Doyle was the designer of this course. Binghamton University is a deceptively large campus. It doesn’t seem like it should be as big as it is, but there is quite a bit of land. This course is spread over the upper part of the campus, going in and out of the woods, some open land and the occasional parking lot. The beauty of the Discraft Ace Race or something along those lines is it’s a bit more loose than a regular tournament. That means it’s a tournament where carrying a camera isn’t a bad thing. Throughout this tournament in 2011, I kept trying to find the “one” shot. I took action shots, artsy shots and everything else. Then we got to this hole. I really liked the setup and found a tree that would hold the Ace Race disc quite well. Then I started snapping away, keeping the focus on the disc. This image was my favorite of a bunch I shot because of where the disc is with the throw, the expression and the backdrop. Alas, I was irritated I cut off one of his feet. In the end, though, I captured something I was happy with. It showed the Ace Race disc, some action and the area we were in. With this being my first Ace Race, I was pleased. I’d also like to note we encourage people to send us photos for Photo Focus. Check the link at the top of this post for guidelines and send us your good shots so we can feature them here! Life’s good for Denise Cameron. The key word in that sentence? Life. The 28-year-old resident of Syracuse, New York, is living life the way she wants. She’s less than a year from getting her college degree. There’s an awesome internship set up for the summer. Then there’s disc golf. Oh, is there disc golf. She’s coming off one of the best seasons she’s ever had. And, heck, just to throw things into another orbit, she’s even dating 2010 PDGA world champion Eric McCabe. Life’s grand, it seems, for Cameron. But if not for things working out in a crazy way, all of this may never have happened. See, on Feb. 4, 2012, two days after her 27th birthday, Cameron suffered a brain aneurysm. And if not for everything lining up just right, the situation may have not worked out so well for her. Despite being young and active, this health issue ran in her family. Her mother died at 51 from a massive aneurysm. 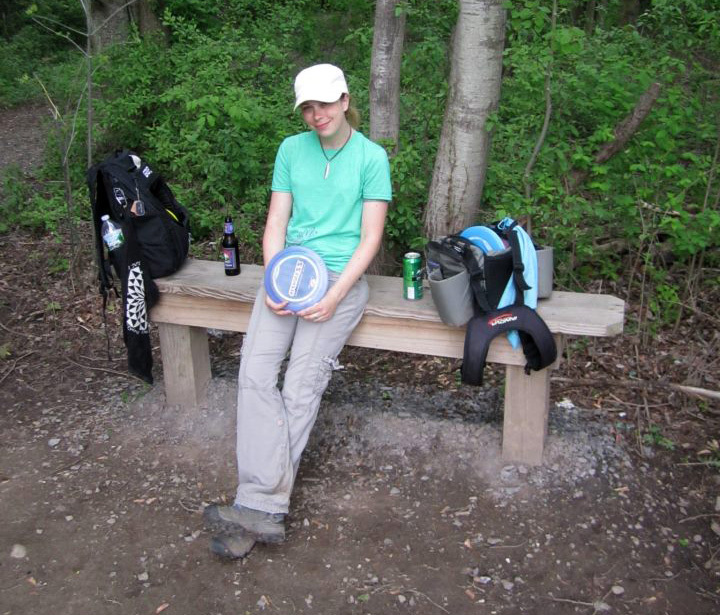 Active in the Central New York disc golf scene, Cameron said she started playing in 2004 or 2005, when she still lived in Florida. She moved to New York in 2008 and continued playing. Central New York, specifically the Syracuse area, is a pretty solid area to play the game. With plenty of courses and a lot of people, it’s rare to not find somebody playing. “It was a fun thing to go into the woods and throw discs,” Cameron said. 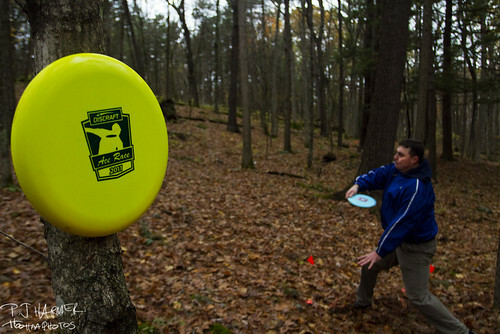 Disc golf is largely an individual sport. Though there are sometimes events with a team aspect — such as the Collegiate Championships or a doubles tournament — the sport is highly individual. Whether one competes against a course, another player, the field of a tournament or against themselves, there’s not a lot of room to blame others for things that happen during a round. It also leaves the opening for people to show off their personality. That type of expression can come in many forms, whether it be clothing, bags, disc designs, the way they act on the course, or, even, tattoos. In the professional ranks, individual expression is there, but it’s often tame. Some top-level players may have a tattoo or two, or wear a certain type of clothing. Others may be known for outspoken comments or actions on the course. It all depends on the player. For Californian Kristy King, her expression is on her right forearm. 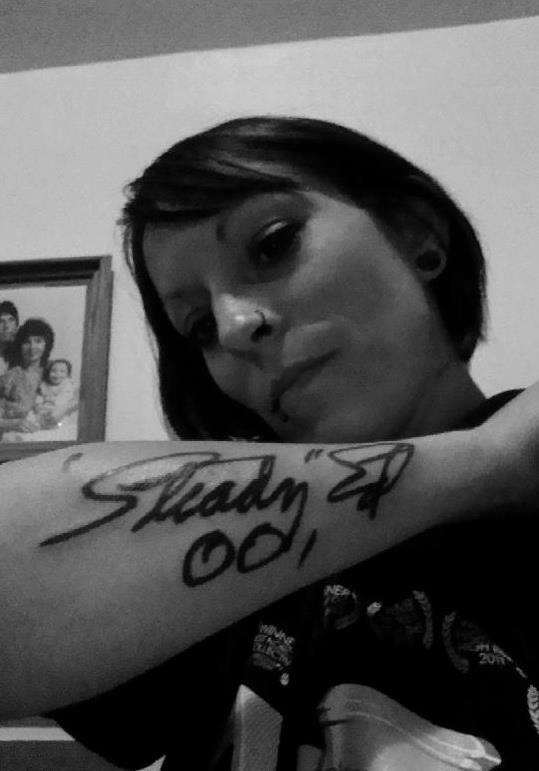 That’s where, adorned for all to see, is a tattoo of the signature of “Steady” Ed Headrick, the father of disc golf. As a DGA-sponsored player, the tattoo makes sense. 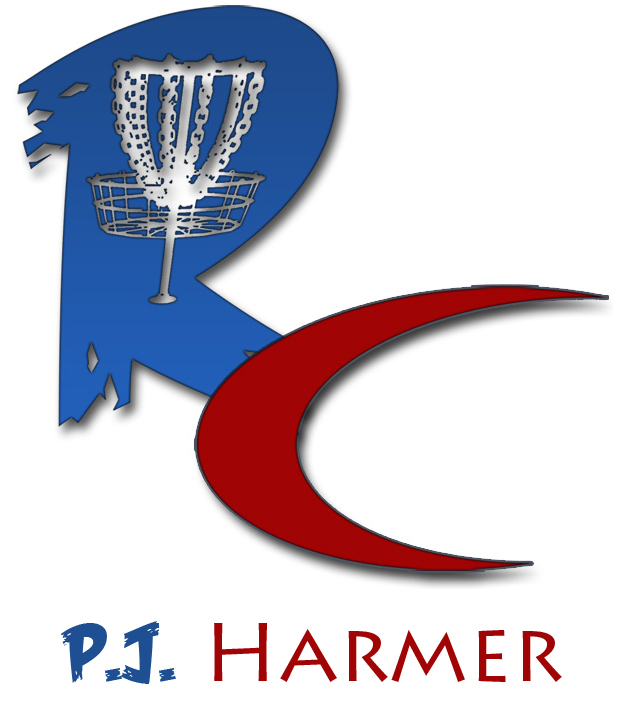 What makes a disc golfer go that far? Being connected to the game and to the sport. Life as a professional disc golfer isn’t the most glamorous of career choices. The fields are smaller, which, in turn, makes the prize money smaller than in men’s tournaments. And that’s just in the United States. Add in being a professional women’s player in Europe and it’s even harder. Such is the life of Ragna Bygde, one of the newest members of Prodigy Disc. 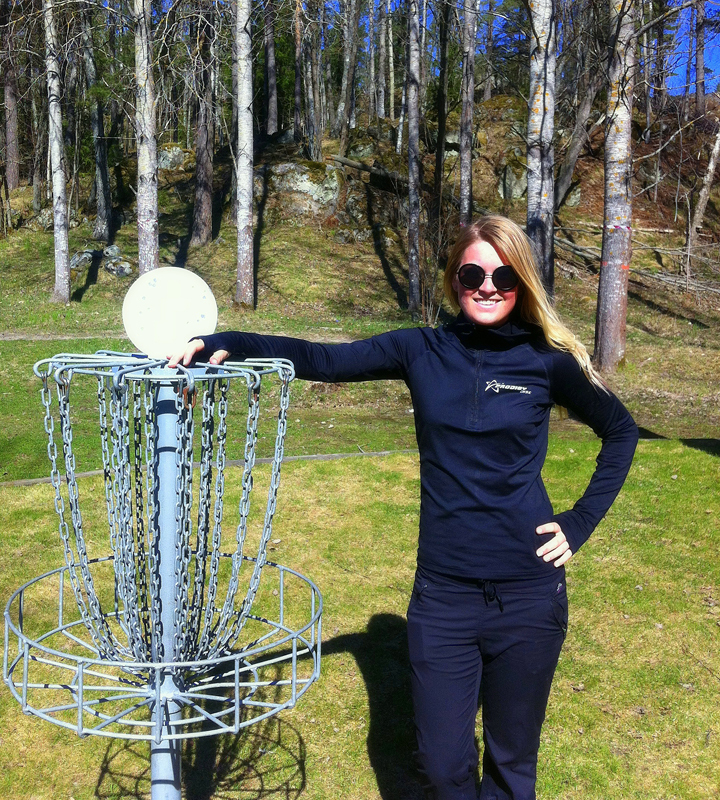 A resident of Stockholm, Sweden, the 23-year-old Bygde has been playing on and off for eight years and comes from a family of disc golfers. Her father, Peter Bygde, is also a professional. Being a professional wasn’t much of a choice for Bygde, though, as she made that move when she played in her first tournament. Though she had a father who played disc golf often, it wasn’t her first love. She did spend a lot of time with her father at Järva Discgolf Park, but it was just to hang out with her father. Something changed, however. During her teenage years, she started throwing plastic. Bygde said she saw another teen playing and wanted to give it a chance. The love of the sport didn’t take long to set in and she soon left the pool and horses behind. Women’s Week has returned to Rattling Chains. Before I continue, allow me to wish a happy Mother’s Day to all you discin’ mothers and any others who happen to come across the blog. If you have been a follower of us since the early days of our blog, you’ll remember us declaring one full week last year as Women’s Week. Our plan was simple — to dedicate a full week to write about or have stories written by women. 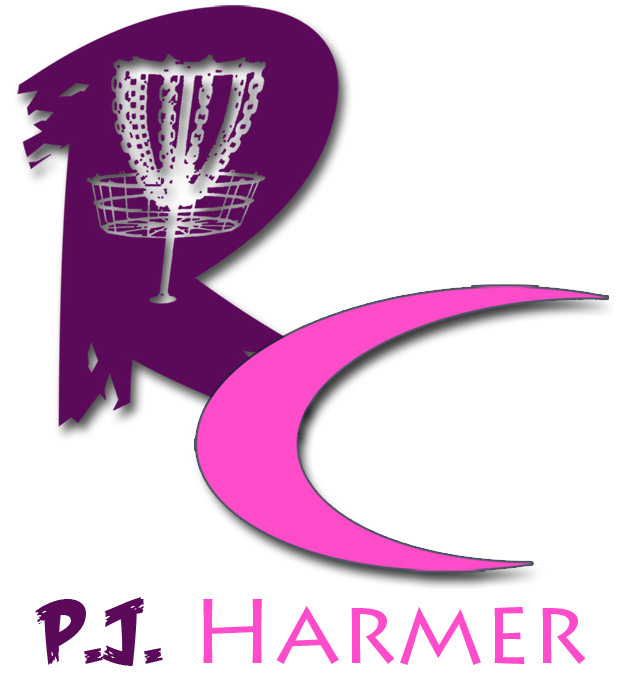 We did it in conjunction with the PDGA’s Women’s Global Event. 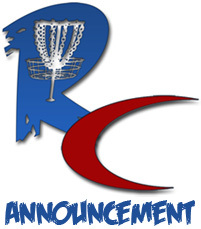 For the week, we changed the look of our blog and ran stories that seemed to be a hit among disc golf fans. Still, we did it in our early days. We had only been going at it for about two months and didn’t have the connections or contacts we do now. We had some pretty solid stories, but there were some about the Women’s Global Event and things like that. The PDGA decided it wasn’t going to hold the WGE this year. It’s not a permanent thing, though. After all, the WGE drew more than 600 women worldwide playing in these events and it is a smart and strategic move for the PDGA to be involved in the advancement of women’s disc golf. Despite that, we made a conscious decision last year to make this a permanent part of our site. As long as Rattling Chains is an active blog, there will be Women’s Week each May. This year, we’ve started the week on Mother’s Day, which seems like the most fitting time to start our week to honor the women in this game. We’ll, once again, be changing the look and colors on our site and our stories this week are about or written by women.